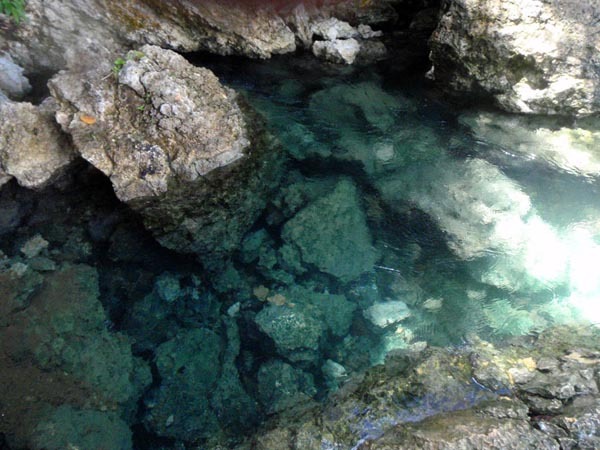 Silop Spring and Campamento Cave are beside each other. 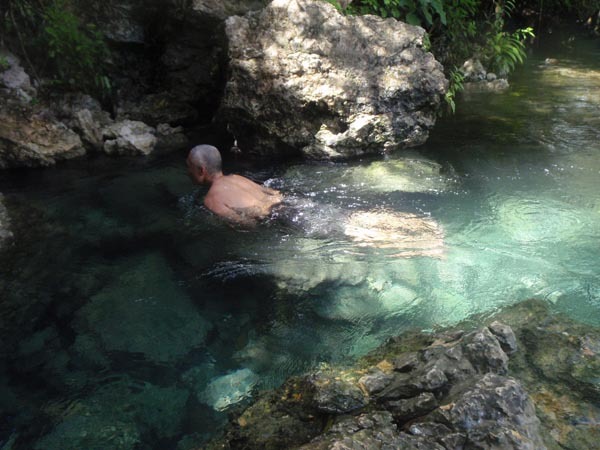 It's best to see the cave first and cleanse after at Silop Spring. That's what I did. The spring is the source of a stream that forms to take the water out to sea. The dipping area at the source is roundish, about 30 feet in diameter, the deepest about 5 feet at the source. The water is clean, potable and refreshing, specially on a hot day. Locals frequent this place. With Surigao del Sur's coastal area flanked by the mountain and the sea (there is no flood plain), it is blessed with an abundance of natural bounties - springs, clean rivers, caves, coral reef, etc. Silop Spring is one such gem. Many thanks to the Lanuza Tourism Office for arranging this for me. Thank you Albert! 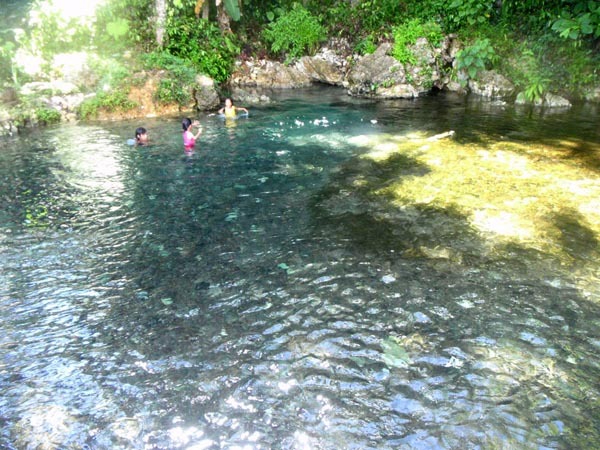 (June 14, 2013) I'd like to ask about Silop Spring in Lanuza. We have a scheduled dive there. I saw your blog about it. Is the source hole big enough for a person to get in? (June 14, 2013) Acording to the tourism office, they are developing the spring right now. The diameter will be ascertained once the work is done. It's not clear when. (May 21, 2013) How was the surf Git? Mid Nov or the start of monsoon season (june-july) the town comes alive with surfers! Sarap dyan!